is an award winning salon hair artist, image consultant, beauty educator to the hair care industry and nationally–recognized cosmetology expert witness and certified forensic litigation consultant. 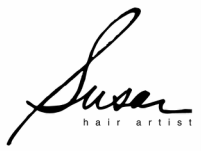 Susan teaches you how to look your best with minimal time and effort. It's time to freshen up with a new, up-to-date look. Makeup is pivotal to staging your best features, add overall glow, and minimize flaws. Beautiful! An expert cut by Susan, designed expressly for your type of hair, facial structure, lifestyle and personality is the crowning touch. The Love Your Hair makeover unleashes your greatness ...in just two short hours! Learn what your hair can do and how you can do it at home yourself. Take charge of your image today! Look your Best - in just minutes every day. You will love loving your hair.